In case you hadn't heard, Google Reader will be mercilessly and permanently shut down in just over two weeks. It's kind of a big deal. Not just because of the millions of readers who actively use it, but because of the services that rely on Reader as a backend for their own platforms. 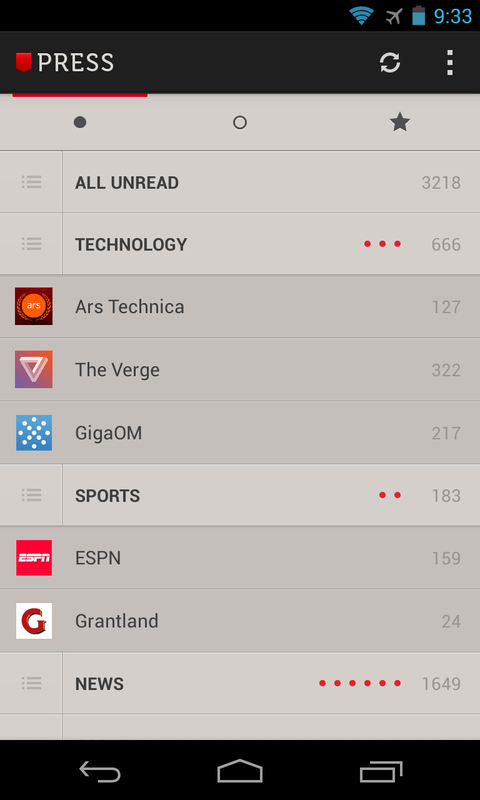 Press, a popular reader launched on Android with some fanfare back in December, is now preparing for the Readerpocalypse. 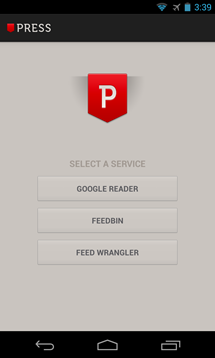 In addition to syncing with Google Reader, Press now works with popular paid alternatives Feed Wrangler and Feedbin. To sync your Press subscriptions, favorites, and what have you with Feed Wrangler or Feedbin, just log into the other services once the app starts up. (Both of them are paid subscription web apps, by the way - if you're looking for a free successor to Google Reader, look elsewhere.) The developers of Press also say that official support for Feedly (which is creating its own multi-platform alternative to the Google Reader API) and Fever, a.k.a. FeedaFever, will be coming soon. 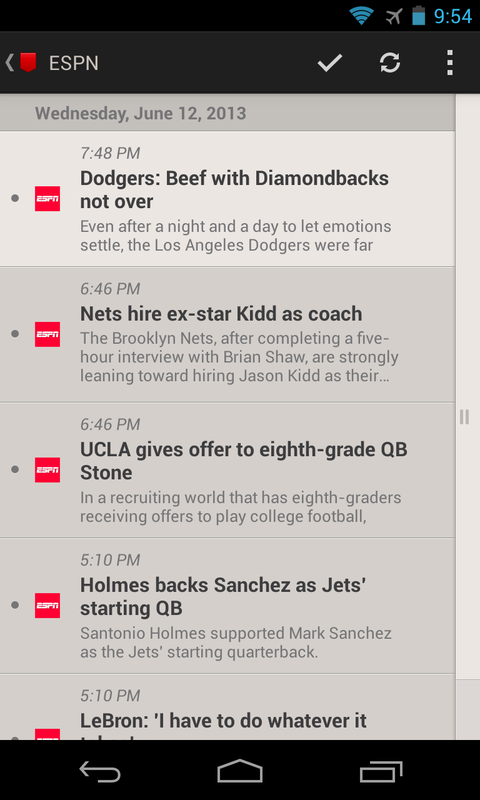 The app also has a revamped look on phones, making it simpler and more efficient. The developers haven't itemized their changes, but based on a quick look, it does indeed seem more readable and usable on my 4.3" daily driver phone. All this is in addition to the huge list of additions from Version 1.2, including widgets, vertical and horizontal scrolling, and more sharing options. 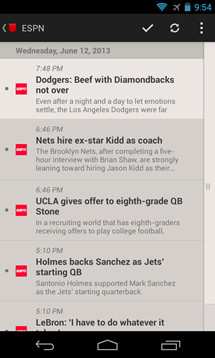 Press is available for Android 4.0 and up, and costs $2.99. 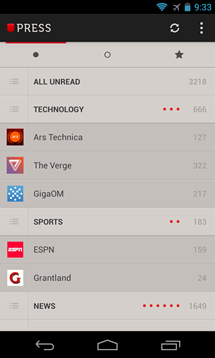 Google Reader dies on July 1st, ladies and gentlemen. Make sure that whatever service you switched to, you've exported and backed up your data before then.